Caterina Leman brand was established in Switzerland in the seventies of the last century. By the middle of the 80th Caterina Leman was already presenting two women’s ready-to-wear collections per year, and already then a business suit occupied a very important place. It was a new niche successfully developed by designers of the brand. Thanks to the high Swiss quality and original elegant style, Caterina Leman brand quickly became well-known in Europe. At the beginning Caterina Leman garments were a privilege of ladies from high society, but later, when the collection appeared in stores, it was highly appreciated by business women who need to look perfect every day. The designers of the brand have a creative approach towards their work, and each season they produce several lines of the collection which allows to present individual assortment in every country and almost in every store. Today Caterina Leman develops complete seasonal collections distributed through multibrand and monobrand stores in Switzerland, Germany, Austria, Denmark, Poland and other countries. In Russia the brand is presented in a chain of boutiques under the same name both in Moscow and in other big cities. Caterina Leman proposes clothes inspired by the images of fashion-icons - Marlene Dietrich, Jacqueline Kennedi, Coco Chanel. This is a harmonious business-style accentuating feminity and individuality: suits, slim-fit jackets, pencil skirts, dresses and outer clothing. 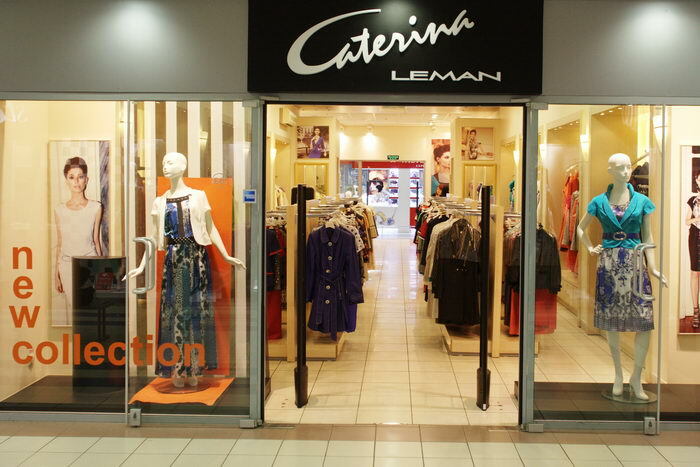 Design in fashionable trends, modern fabric, ideal patterns – all this allows Caterina Leman clothes to take a well-deserved place in the wardrobe of a successful woman who knows how to show the best of herself and who is sure of her seduction power. Caterina Leman suits are recommended by first-rate corporations for business dress-code. Caterina Leman style incorporates elegant and aristocratic feminity, classic business wardrobe of a business lady in a modern interpretation - cuts and patterns underlining the silhouette and tailored for all morphologies, diversity of fabrics and styles, striking individuality of the image.